Norcross - The City of Norcross will be holding its annual giving campaign with the Mayor's Motorcade and is asking for the community to help make the holiday season special for residents of the state's mental health hospitals. Community members can join the giving campaign by asking their family, friends, and co-workers to join in the giving campaign as well. Buford – The North Gwinnett Co-Op is delivering Thanksgiving Meals to 600 families this week. The hunger-relief and financial assistance organization has received generous support from the North Gwinnett Community and collected food and donations to create 800 Thanksgiving meal boxes for North Gwinnett families in need. CORDELE -- A new archery and air rifle range at Georgia Veterans State Park and Lake Blackshear Resort, located near Cordele, is now available for archers, shooting enthusiasts, bow hunters, youth groups and others interested in perfecting their target skills. It is one of 36 archery and shooting ranges currently available on public land in Georgia. Snellville – Eastside Medical Center, a healthcare leader in Metro Atlanta for over 37 years, is pleased to announce that they will be welcoming Neurosurgery Atlanta to their system of care in December of 2017. 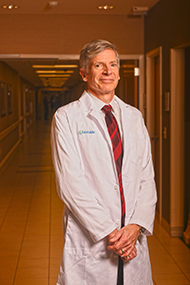 Dr. Michael T. Stechison will be joining the practice and brings over 28 years of neurosurgical experience. Lawrenceville – The football field at Mountain Park Park will be rebuilt this winter as a 100,000 square-foot synthetic turf field for football, soccer and lacrosse. Completion of the SPLOST-funded upgrade is scheduled for July.